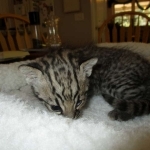 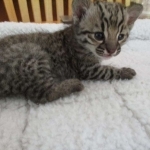 This beautiful Male Geoffroy's cat is perfect for wildcat education or a Safari hybrid program. 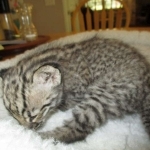 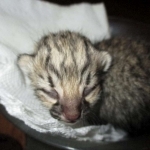 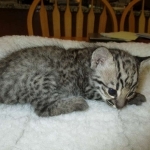 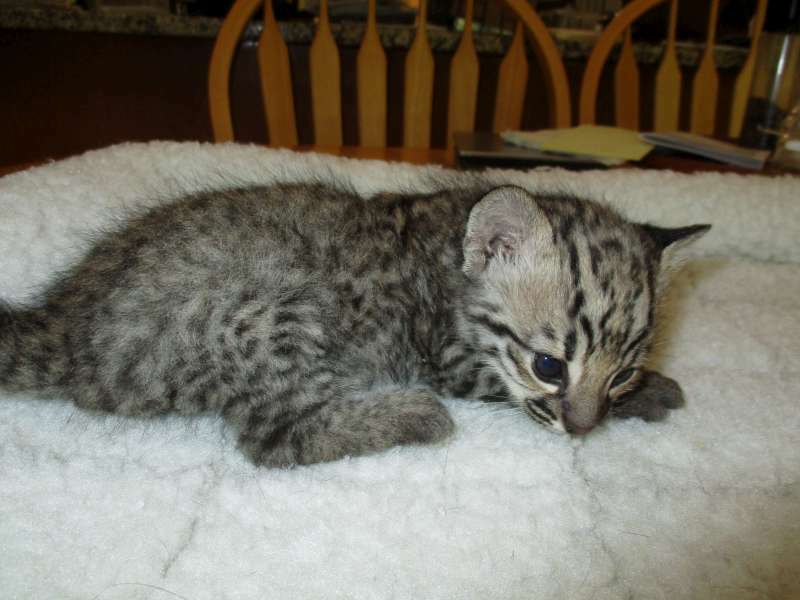 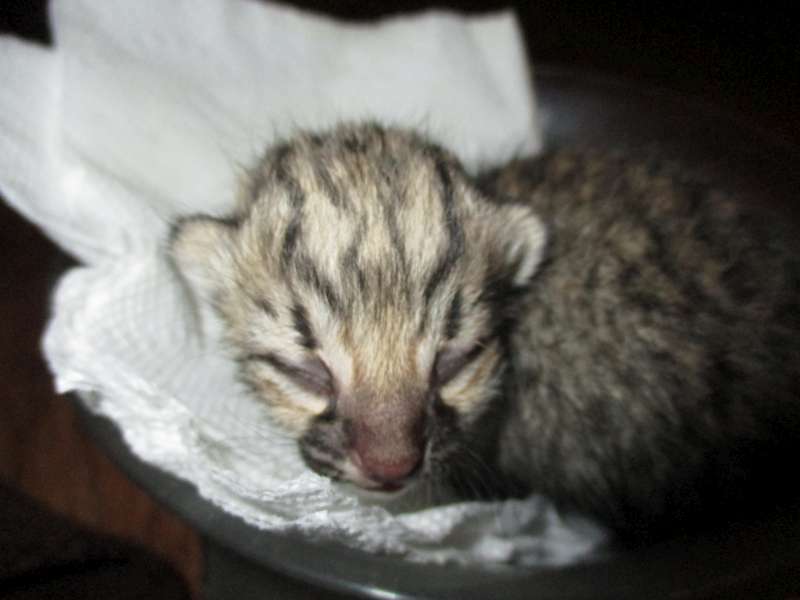 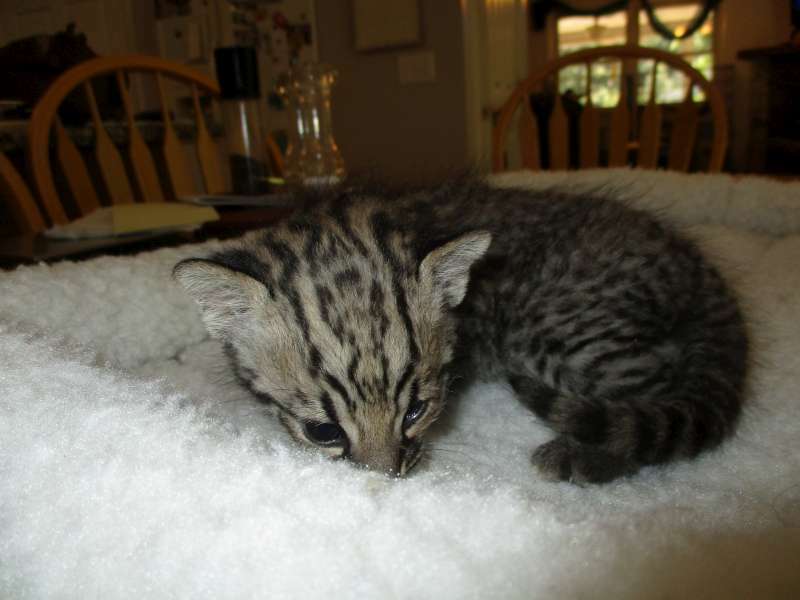 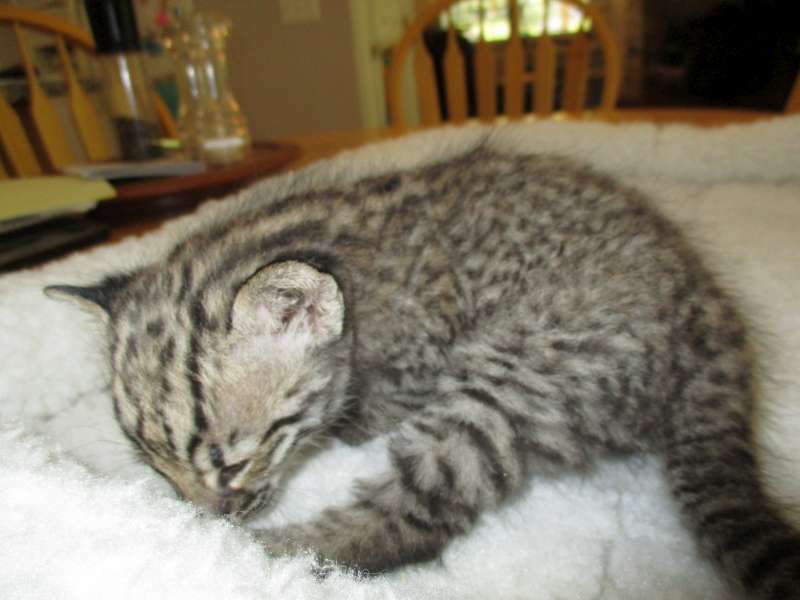 He has been raised with a litter of Savannah kitten so he is completely unaware he is not a domestic cat. 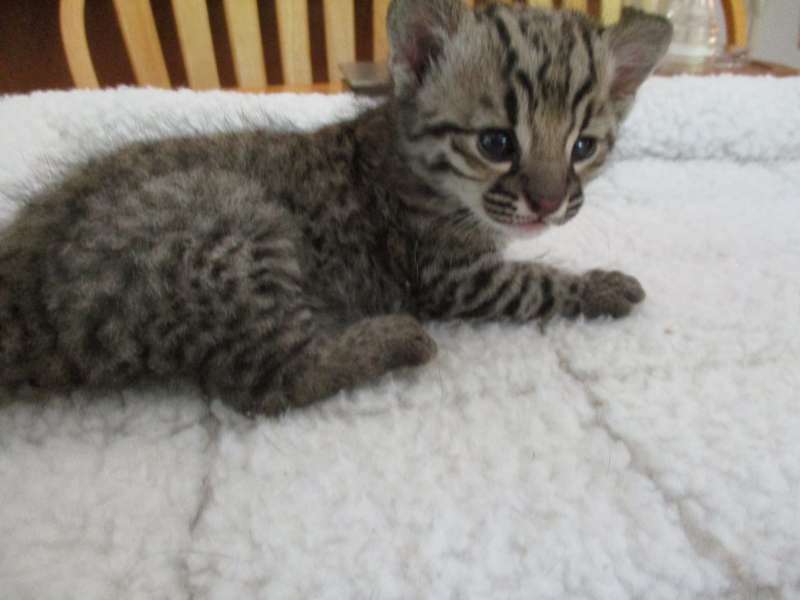 He is going home to Tracy in AK.